Nature's designs come in many ways, some are blatantly horrendous, some are subtle and beautiful as these tiny cacti flowers I found at a stall in Las Ramblas de Barcelona. Wow, I love the focus on the flowers. The colours are beautiful. Your photos always make my day :) Thanks so much and keep up the good work! Just another comment from the ex-florist: those aren't actually cacti flowers. They're strawflowers which have been grafted onto the cactus. That's why you can get away with not watering them, and they're still brilliant pink blooms (handy!). 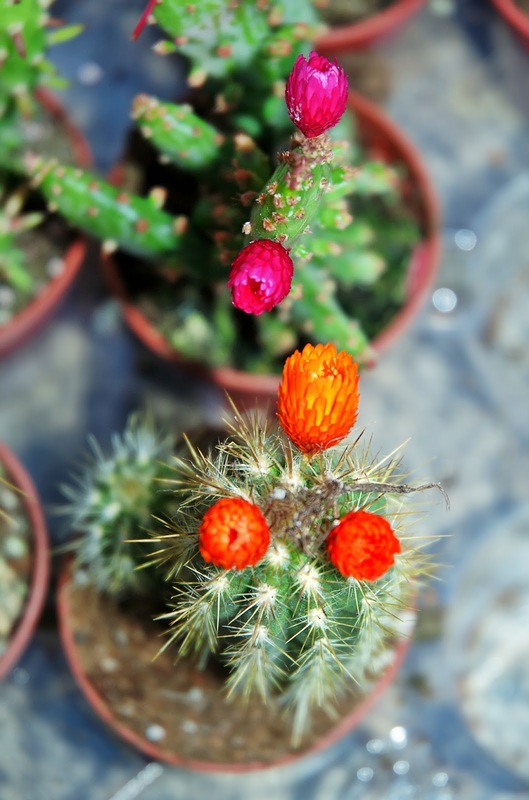 An example of a blooming cactus would be a Christmas cactus... they only bloom once a year.